Horses in Motion- Breaking down Barriers will help bring more people together with horses to learn life skills. The Aviva Community Fund (ACF) returns with over $1 million to fund charitable initiatives across Canada. The ACF competition supports organizations that bring people together for a long-lasting and positive impact in the community. This year, Stable Life Inc and Sister Organization Partners in Process have applied to the ACF competition with hopes to win funding for Horses in Motion- Breaking down Barriers. The project will help Sister organizations Stable Life Inc and Partners In Process in breaking down barriers in their work of Equine Assisted Programming by travelling and bringing horses to the community. 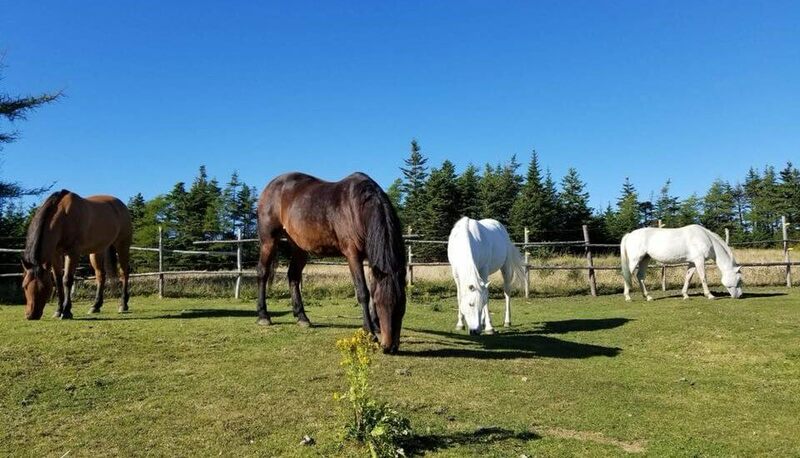 One such program is their pioneer work being the first organization in Canada to bring horses inside the prison walls of the Adult Correction System in Newfoundland for Men and Women as a pilot project. We want to expand our mobile program and bring horses to more facilities including: youth corrections, drug and addiction rehabilitation centers, youth mental health treatment centers, community centers, hospitals and reach populations that are unable to come to our facility due to lack of access to transportation or due to being institutionalized. In order for Stable Life Inc –Partners in Process to win funding, we’re asking for Canadians who care about Mental Health to support by voting online at https://www.avivacommunityfund.org/voting/project/view/18-237 from September 25 to October 4, 2018, each voter has a total of 10 votes that can be used all at once, or throughout the voting period. Voters can use all 10 votes to support one idea, or up to 10 different ideas. The top 10 ideas with the most votes at the end of the voting period will go into a final judging round. Three winners will be chosen by the judges to receive a prize of $100,000. The other seven finalists will win a consolation prize of $15,000. Winners will be announced on November 20, 2018. Horses in Motion- Breaking Down Barriers needs the community to vote in order for it to become a reality! Please visit the idea page at https://www.avivacommunityfund.org/voting/project/view/18-237 , or social media handle @spirithorseNL to vote and stay updated on the ACF competition. About Stable Life Inc: Stables Life Inc. is a registered not for profit organization mandated to support people with mental illness through the provision of an Equine Assisted Program for the purpose of offering alternative ways of living a recovery based life. About Partners in Process: Partners in Process Equine Learning Centre is a registered Charity established to provide children, youth and young adults at risk or who have become involved with the Youth Criminal Justice System, alternative ways of dealing with their issues; Offering children, youth and young adults the tools to learn for themselves about trust and taking responsibility.